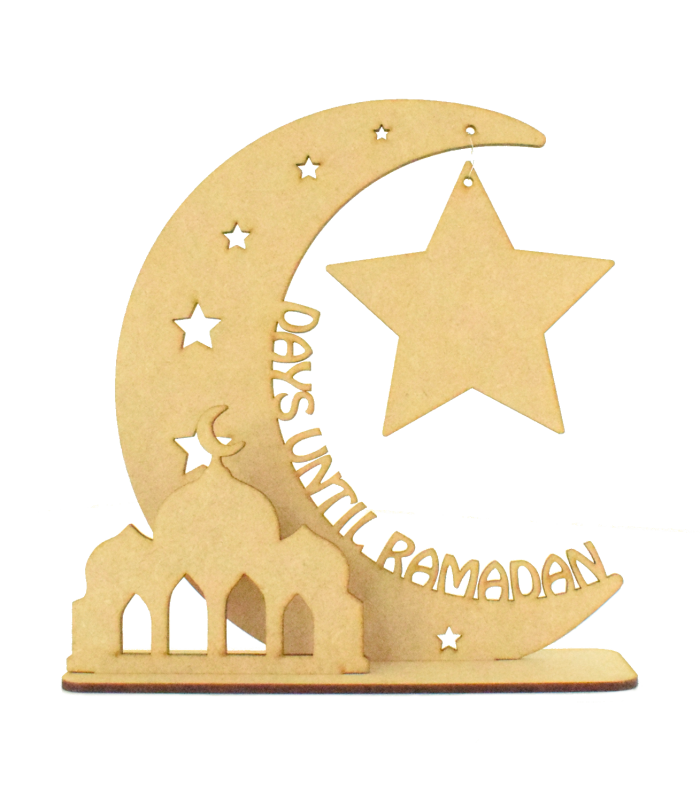 The hanging star shape is to be painted as a chalkboard to countdown the days which also means the sign can be reused again. This design comes in 4 pieces for you to assemble. The star shape can be hung from the moon by threading ribbon or twine through the holes. The Moon and the small temple slot into the stand to become freestanding.